MUMBAI: In a world where meaningful conversations often occur over texts and social media rules our perceptions, Felix Cartal and singer Veronica's new track Faces is a poignant PSA to focus on real, human connection. With its essence of resplendent melodies, stirring vocals and of course a little groove, the song is both a warning and a hopeful message to young people who feel insecure when faced with a raw in-person interaction. "Faces is about getting over our fear and remembering that we're all human, and that trying to connect with someone on a real, in-person level is important," says Felix of the inspiration behind the track. Veronica echoes his sentiment, saying "We want to remind anyone listening that there's nothing more important than the people we surround ourselves with, so don't hide from the faces." Faces is the newest single from Felix's forthcoming album and is out now on Physical Presents. With his dreamy, melodic and yet dance-floor friendly sound, Felix Cartal has established himself as a force to be reckoned with in modern dance music. 2017 proved to be a monumental year for the producer, who was included in Billboard's "13 Dance Artists Who Dominated 2017" feature and whose Spotify channel has over 75 million streams. Felix's appeal lies in his ability to convey complex emotions through his music, like the hopeful angst of Get What You Give, leaving listeners with a positive emotional catharsis. To this effect, Get What You Give has soared to the number one spot on Sirius XM Chill and the Hype Machine and rapidly climbed the US and international charts, becoming a Certified Gold record in Canada and named one of Billboard's "50 Best Dance/Electronic Songs of 2017." The track recently earned nominations at the prestigious Canadian Juno Awards, for Dance Recording of the Year as well as Producer of the Year. Shortly after, Felix released Hold Tight, the swoon-worthy B side track to Get What You Give, which also received support from Billboard and experienced similar success. 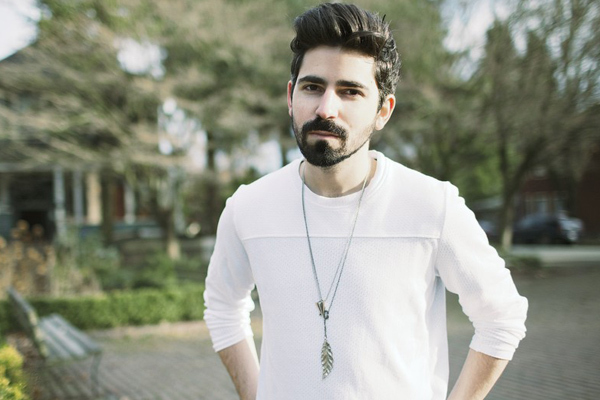 With such immense recent successes, we can't wait to see what's next for Felix Cartal. Catch him live during his new residency at the famed Drai's Beach Club in Las Vegas, which kicks off on 8 April. MUMBAI: Revered DJ/producer Billy Kenny has unveiled the rave mix to his latest offering Just Came For The Music. MUMBAI: Today, multi-instrumentalist producer and performer GRiZ have released his fifth studio album, Ride Waves. Drenched in the creative passion and cultural connectivity of the artist, the LP sees GRiZ immerse himself into the soundscapes of his influences and the causes of today. MUMBAI: Bacardí House Party Sessions (BHPS) is on a roll with the launch of the second track under the BHPS banner, “Hold Tight” by electronica act, Ape Echoes, mentored by bass phenomenon Mohini Dey. MUMBAI: What happens when two of The Netherlands most innovative producers’ team up with one of the USA’s leading dance music lights? EDM O’Clock is the answer.